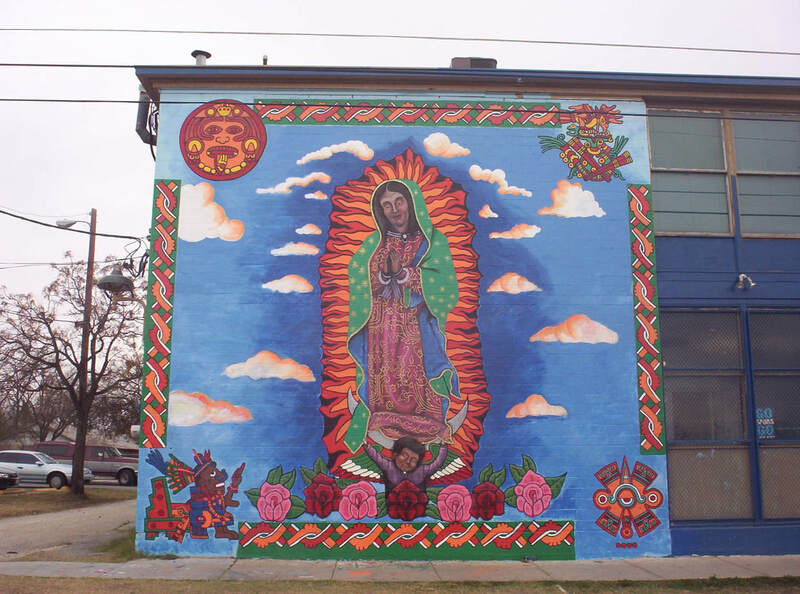 Location: Guadalupe Community Center, 1801 West Cesar Chavez Blvd. at Trinity St. The mural incorporates Aztec imagery. Top left: The face of Tonatiuh, the Lord of Heaven, who represents the sun. Top right: Cuauhtli, an eagle that represents the sun and appeared as a sign to the Aztecs that they should settle in present-day Mexico City. Bottom right: the Ollin, meaning movement or change, which represents the four past ages and the movements of the universe in the Aztec cosmos.